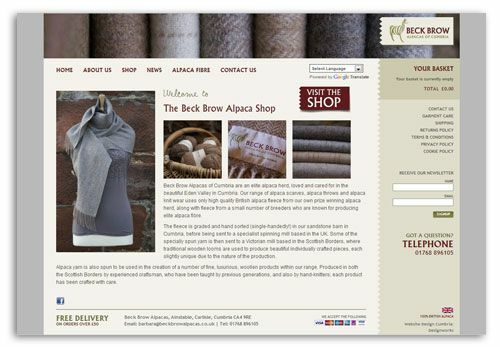 Beck Brow Alpacas have a new, bespoke website design and Ecommerce system for their WordPress website. The site sells a variety of alpaca products, including: scarves, throws and knitwear, using only high quality British alpaca fleece from Beck Brow’s prize winning alpaca herd. The client is aiming to attract more interest from overseas customers so we’ve installed a Google plug-in which translates the site into a range of languages.